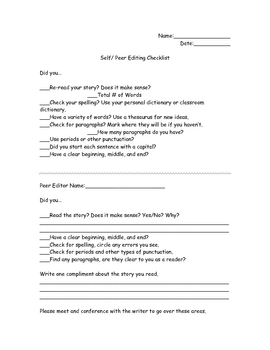 This is a self/ peer editing checklist I have created to assist my 4th graders with their writing. They fill out the top portion and then get with a buddy to go over their paper together. Its a great activity, especially when reviewed and modeled throughout the year!